The average CMB temperature is 2.725 K with very tiny fluctuation 18 µK. However, in 2005, the anomalous cold spot was detected in WMAP data (Cruz et al., 2005). This cold spot has angular radius about rv ≈10 degreee in the sky and locate at Galactic Cab, l ≈209, b ≈-57. The temperature of the cold spot’s centre is also signi cantly colder, ∆T ≈ 150μK, than average CMB temperature, 2.725 K ±18 μK. 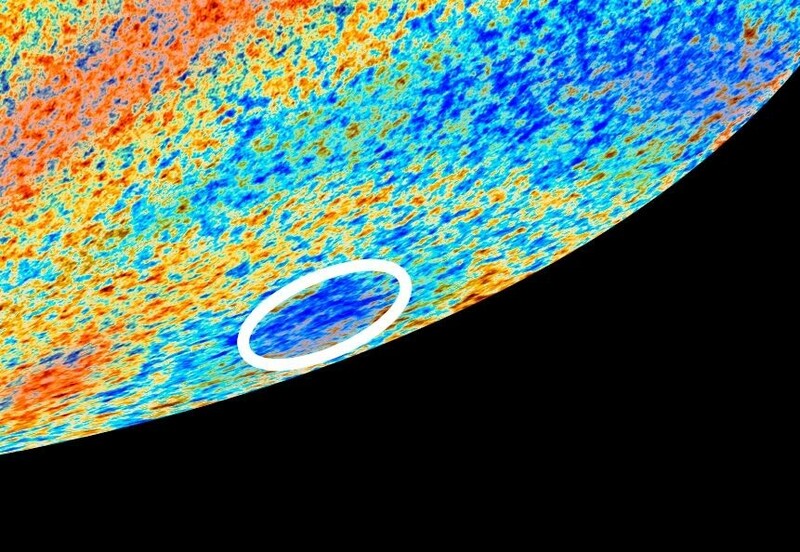 This cold spot may be caused by the Integrated Sach-Wolf effects from the cosmic voids. 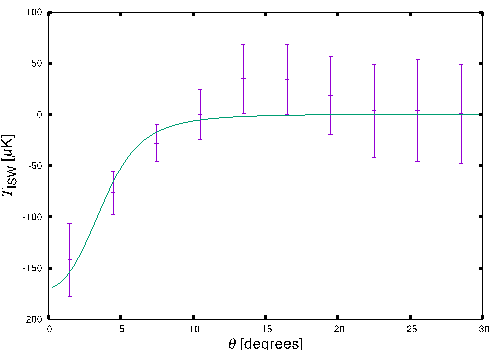 Cold Spot temperature profile and ISW temperature prediction from Supervoid.